If you have just received your renewal notice for your car insurance and you have decided to shop around because the renewal premium has increased significantly compared to what you have been paying, have bought your first home and are looking for a home insurance quote or have invested in a property that you intend to rent out and require landlord insurance then there are a number of different places you can obtain quotations. The old-fashioned way it to get out your Yellow Pages and telephone a few of the insurance companies listed and/or some insurance brokers and provide each of them with the information they request in order to obtain quotes for you that they will then send out in the post or e-mail to you along with details of the product you are considering arranging. If you have any other questions or want to proceed with the cover you will often need to phone them. This process is rather time consuming and repetitive. You could pop into your bank, building society, Post Office or insurance broker in your local high street and, again, provide each of them with the information they request to obtain the necessary quotations and supporting information for you to peruse. Yet again this a little time consuming and repetitive. Another alternative is to go on to the Internet, key “car insurance quotes”, “home insurance quotes” or “landlord insurance quotes” into your browser’s search box and you will be presented with numerous websites of the likes of insurance companies, insurance brokers and insurance price comparison sites offering to provide you with quotations. 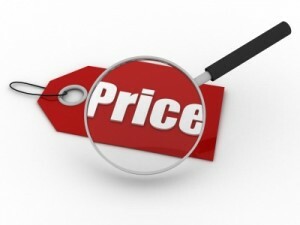 If you then go onto one or more of the price comparison websites such as www.cancancover.com which is a good website to use for comparing the above types of cover and prices you will find that their search facility is simple and quick to use as you will only need to key in the required information once. Whilst price comparison websites do not have access to all insurance companies offering the type of insurance you require they often provide access to many of the major providers. Once you have keyed in the requested information the price comparison website will do much of the “spadework” for you and usually within less than a minute you should be presented with a number of quotes from different insurance companies together with the option to be able to look at the product particulars in detail of each company’s policy so that you can analyse which plan and deal is best for you. Remember-cheapest is not always the best option as the insurance cover must meet your requirements. Once you have decided which company to take out the insurance policy with you can usually set up the cover online, arrange payment such as setting up a direct debit to pay monthly and the insurance company can often send you the policy details by e-mail. Quick and simple – all done from the comfort of your home at a time to suit you and you may have been able to obtain the cover for a lower premium than you have just been paying. Looking ahead to next year, you can do the whole thing all over again but that little bit quicker as the price comparison website will still have your details on file that can be quickly updated. This will help enable you to keep on top of your finances at a time when most people are looking for ways to contain or reduce their expenditure.